The Diana Parc luxury resort hotel is Arinsal’s flagship property with lift pass, lunch vouchers and ski/boot hire included in the holiday price. It also offers excellent spa facilities with saunas and hydro-massage pool and daily entry to the spa is included. The bedrooms all have superb facilities including a hydro-massage bath in the bathroom and free Wi-Fi. The friendly 4-star Patagonia Hotel offers excellent convenience for a ski holiday in Arinsal, as it’s situated above the main village centre, near to a chair lift and right beside a slope allowing you to ski or board right back to the hotel. In addition to its 80 good-sized bedrooms, there are an impressive range of facilities on offer at the hotel including sauna. steam room and hot tub. The Princesa Parc luxury resort hotel offers excellent facilities including a Wellness Spa with hydromassage pool, sauna, whirlpool, steam room, ice and Scottish showers and a relaxation zone. 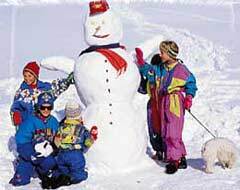 Ski and boot hire, lift passes and lunch vouchers for use in mountain restaurants are also included. Bedrooms have been renovated and they all have elegant, modern and comfortable interiors. A cosy, small aparthotel offering excellent value, friendly service and good cuisine, an ideal choice for families. This attractive hotel is decorated in traditional Catalan style and offers tasteful and comfortable accommodation in a great location, just 3 minutes' walk to the main gondola. You are sure to receive a warm welcome from the owners who provide a friendly and relaxing atmosphere, fantastic ingredients for a fantastic ski holiday. 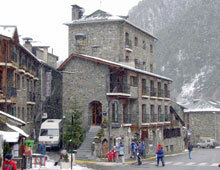 The Hotel Arinsal is an unpretentious 2-star offering warm Andorran hospitality, close to the village centre in Arinsal and only 150m from the gondola departure point. There's a breakfast room on the ground floor, where a simply-prepared, self-service continetal buffet is provided each day. You'll also find a lounge area with TV and fireplace plus a newly-created wine and tapas bar, with excellently-priced drinks and snacks. With a great location just a few minutes from the main lifts, the Hotel Arinsal is a comfortable and homely base to explore the resort and it's brilliant ski area. This budget friendly hotel is a great place to stay, particularly if you are new to skiing and don't want to spend the earth. There's a cosy bar with a pool table so this is also a great choice for groups of friends. In a super location in the centre of Arinsal, the popular 3-star Hotel Comapedrosa is a traditionally-styled Spanish-run hotel just 50m from the main gondola. On the ground floor of the hotel is the Taverna del Comapedrosa, a pub-themed bar with live music on some nights. It's a popular spot for apres-ski drinks and also serves a menu of great value light meals. The Diana Parc is the only 5-star hotel in Arinsal and will appeal to those looking for something a little extra special during a short ski break in Andorra. Adjoining its sister property, the Princesa Parc, the hotel is conveniently situated a few minutes' walk above the main resort centre, offering simple access to the nearby ski lifts, shops, bars and restaurants. Magic La Massana N/A Getting skiing in the morning could not be easier as it is just 100m to the gondola. The hotel has a pool and jacuzzi plus well equipped bedrooms that sleep up to 4 people. It is ideal for families or groups and the Irish Pub in the hotel is a popular night spot venue. 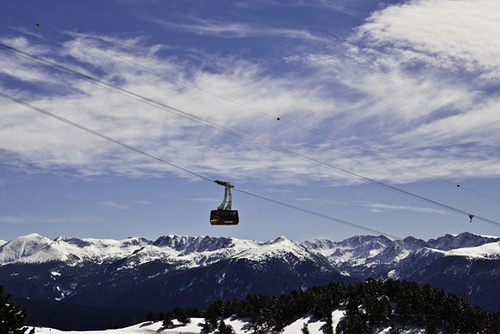 There is also a free ski bus to Arcalis, a separate area in the Vallnord ski area and covered by the lift pass. The wellness area in the Magic Massana has an indoor pool, whirlpool, steam room, sauna and fitness room. Montane N/A The Montane enjoys the most enviable of locations in the heart of Arinsal. With a superior level of personal and friendly service to ensure guests feel at home, the hotel is well renowned for its excellent restaurant and exquisite food and with the bedrooms offering quality furnishings and a tasteful decor; it’s a definite favourite with our guests. Montané 54 An excellent property with superb access to ski slopes, all resort amenities, bars and nightlife. The 4-star Princesa Parc is a premium standard hotel in Arinsal situated just a few minutes' walk from the gondola in the resort centre. 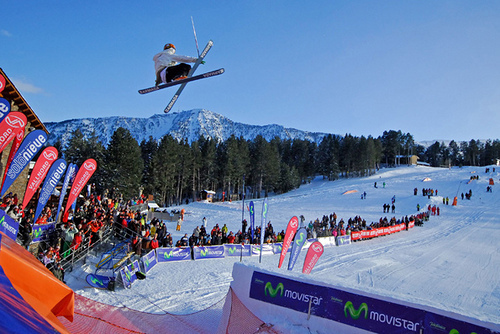 It's a spacious and comfortable hotel, offering excellent all-round facilities including a wonderful spa, a choice of bars, a large restaurant and all the entertainment you could need for a short ski break in Andorra. Princesa Parc and Diana Parc Spa N/A This modern hotel provides a high standard of accommodation and fantastic facilities. St Gothard 170 The St. Gothard is a popular choice with our guests and offers excellent value with its lively atmosphere, good food, friendly service and high level of comfort and facilities. We offer chalets, hotels and self-catered apartments from a wide variety of ski tour operators, but no longer feature Hotel St Gothard in Arinsal so please use the search function to look for an alternative holiday or call us for advice on 020 3384 3300. Xalet Verdu N/A Xalet Verdu is set in a beautiful location and enjoys views across the valley. 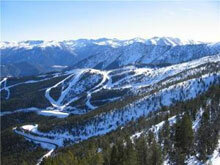 It is in a convenient position just 250m from the heart of Arinsal village and its main gondola. This small, friendly property combines modern facilities with traditional Catalan style.